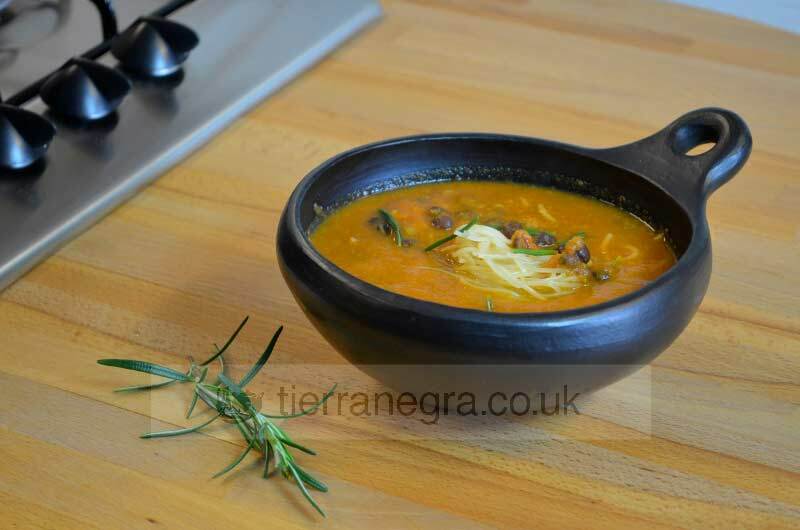 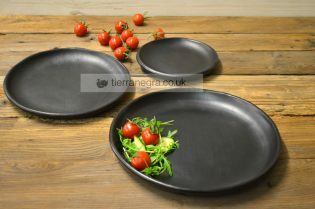 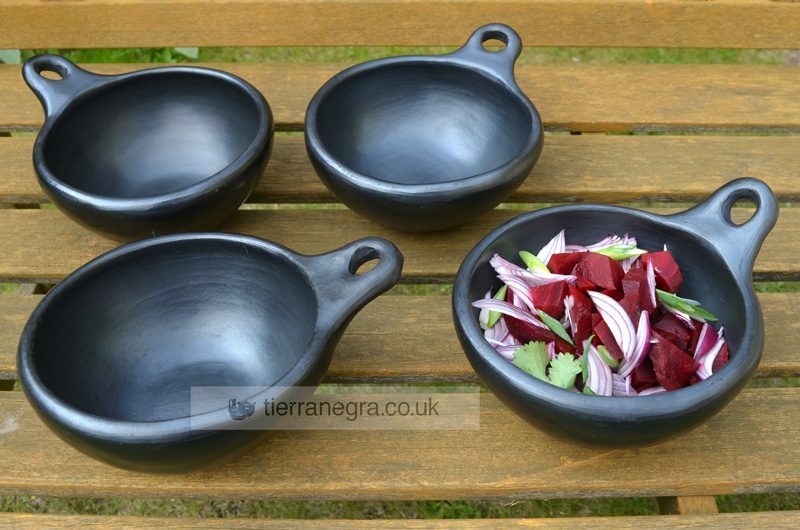 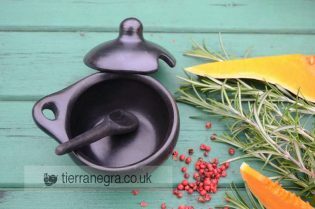 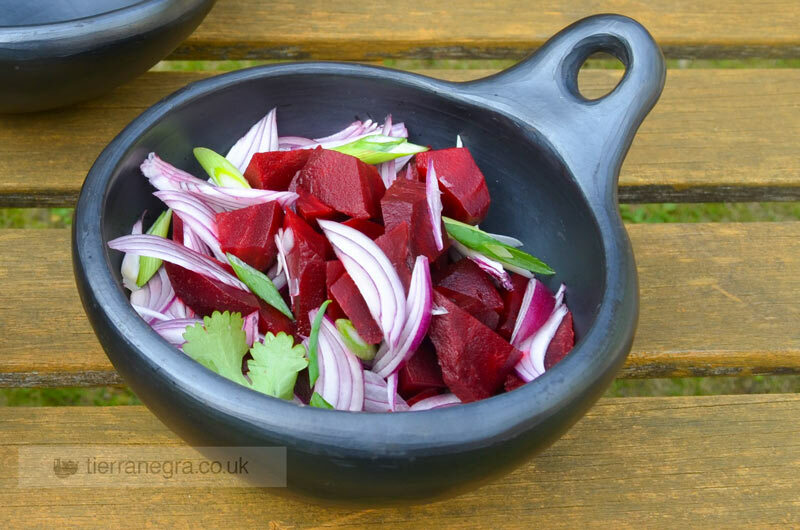 Tierra negra cookware and tableware combines style with functionality. 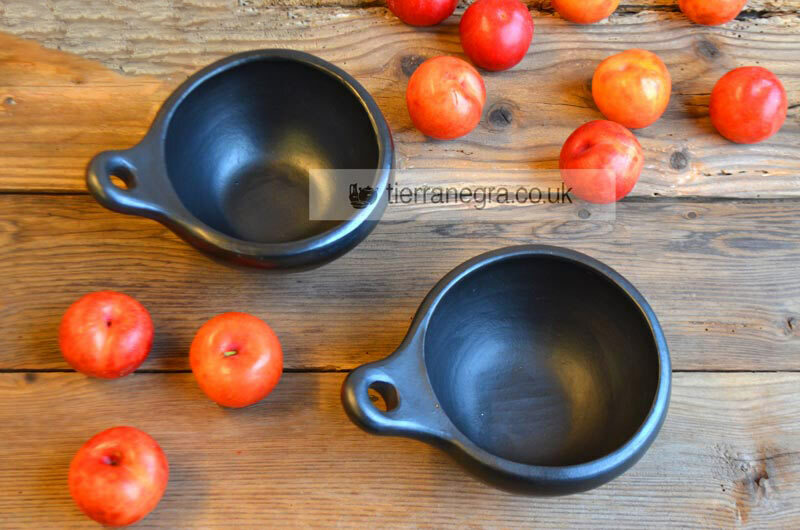 As each piece is hancrafted, variations in size will occur. 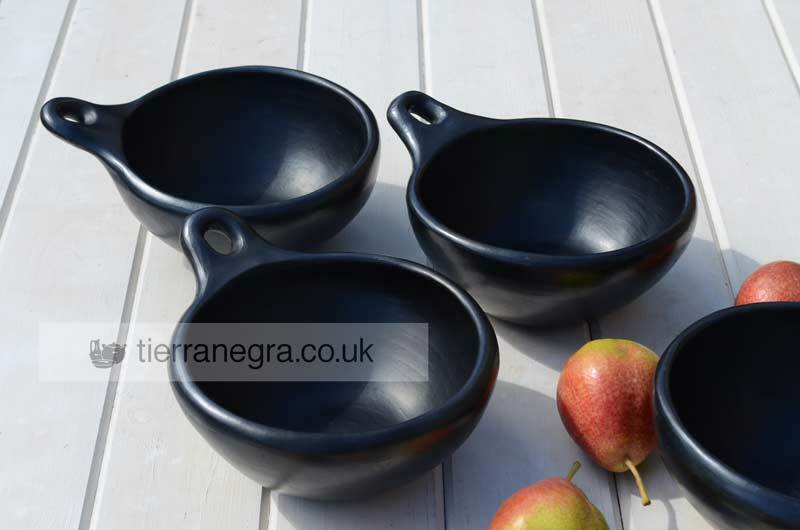 Oven proof, microwave and dishwasher safe. 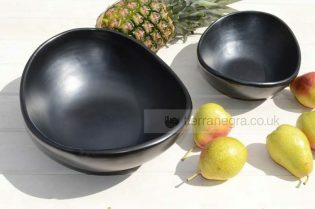 These bowls have a round base. 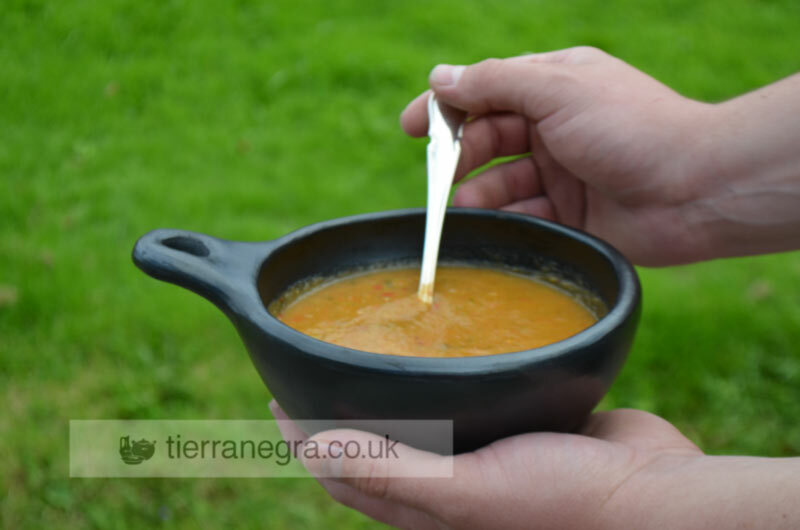 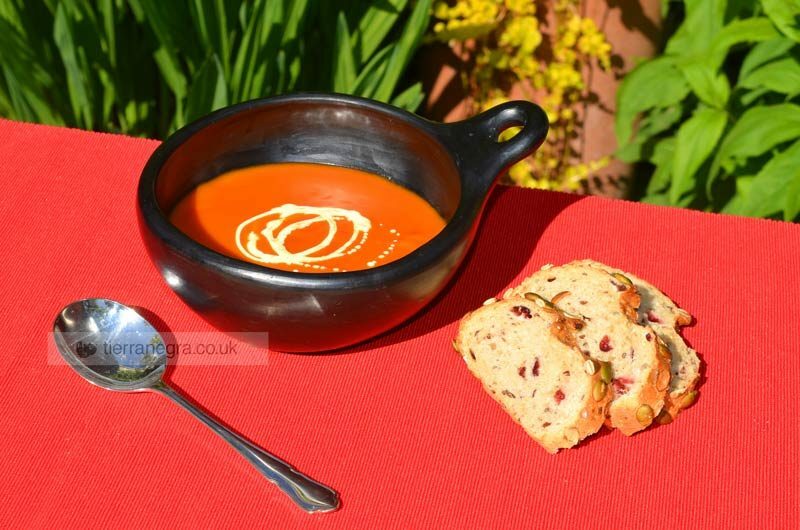 The CL 143 holds approximately 350 ml of soup or a small portion of stew for one person. 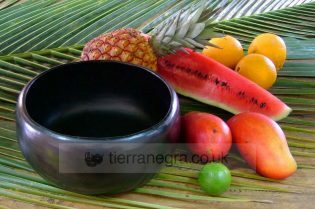 The volume of the CL 144 is about 500 ml.